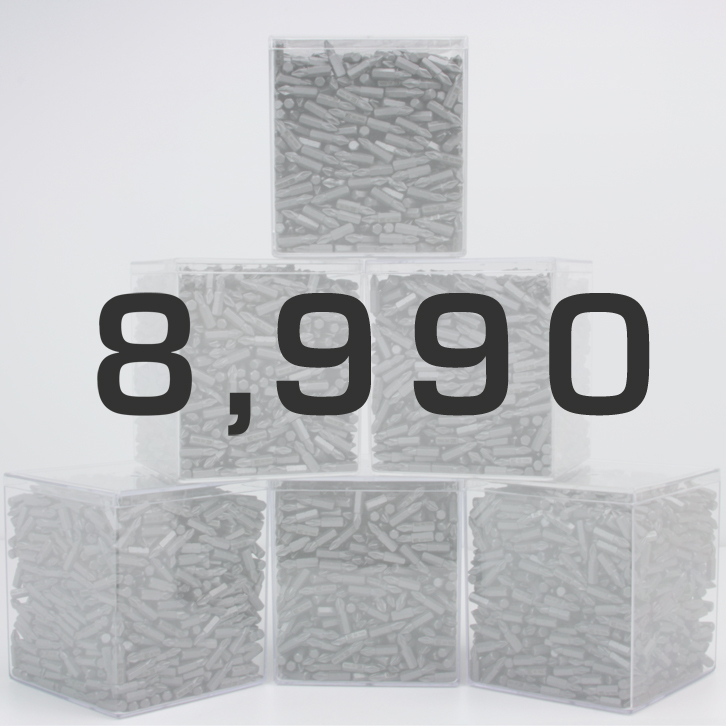 Hani T. from Pasadena, CA won the KC Tool Bit Contest with his entry of 8990. Hani is an avid BMW enthusiast & active member on the GarageJournal forum (Qualitytools). Thank you for everyone who entered and to Wera Tools for their support. We look forward to doing more contest & giveaways. Stay tuned for our Father’s Day Sale (be sure you’re signed up for our emails!). You have 6 boxes about 6×6 inch . Logical the number of bits must be multiple by 6 if you put the same amount in the boxes. The winning number 8990/6=1498.33 it means you have different amount in every box, whitch locks wierd for me. This is just my point of view but i want to share it.